Add Guardians of the Galaxy to your holiday season with this adorable Baby Groot ornament! Dancing just like in the movie, this little guy is so ready for tree hanging! 1. Configure wine bag, closed side up. 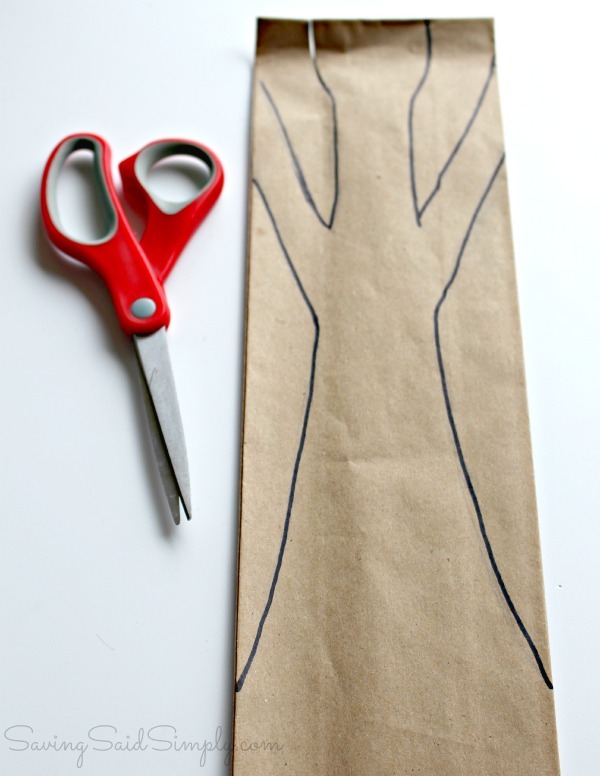 Using the Baby Groot Ornament Printable Template, trace and cut out the Baby Groot body out of the paper bag. 3. Now find the neck and twist into a tight spiral, about 2-4 turns. Twist the arms into tight spirals as well. 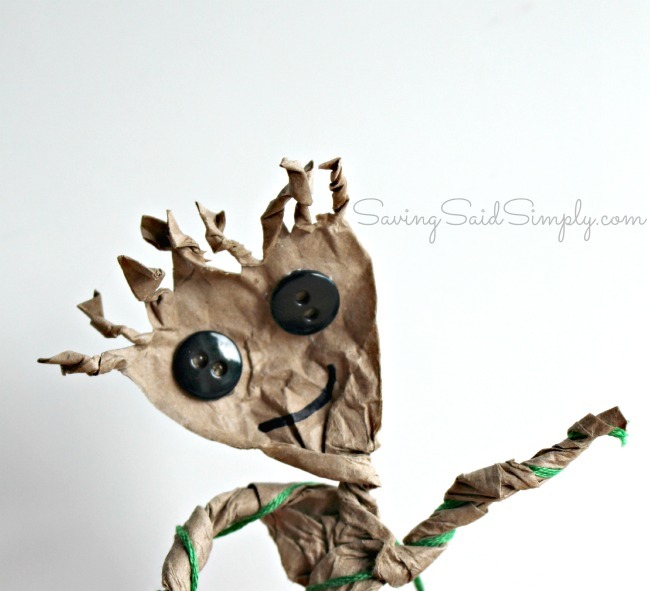 Feel free to bend and twist in different directions to give him a “dancing” impression, just like the Guardians of the Galaxy movie! Twist the rest of the body all the way down to the end. 4. Focusing back on the head, use your Black marker to make a small smiley line for a mouth. Glue on the black buttons for eyes. 5. 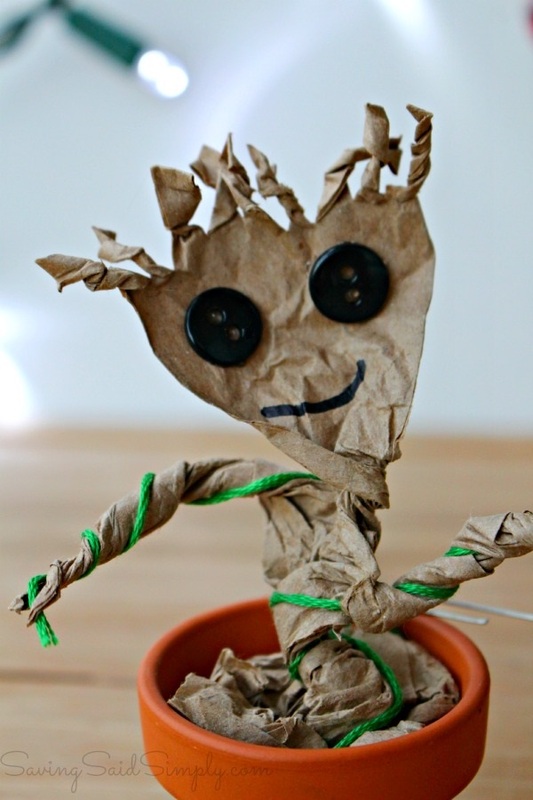 Using the green embroidery floss, wrap your “vines” around your Baby Groot as desired. 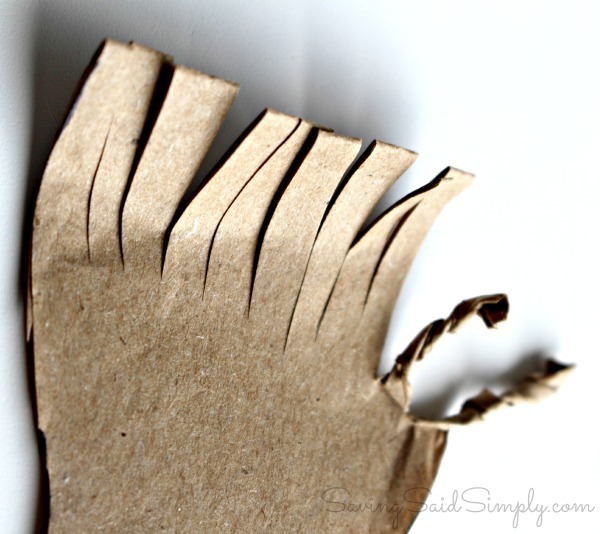 I loved sinking the thread into the grooves of my paper bag twists. Glue into place if needed. 6. 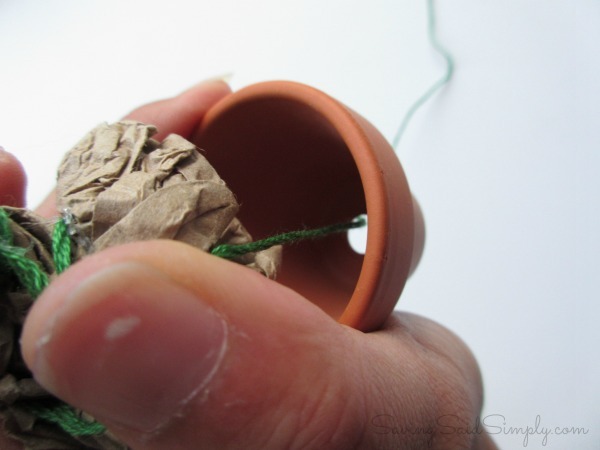 Take a piece of green floss and thread through the bottom hole of the pot and around the outside. Tie a secure knot. Place your ornament hook through your green loop. 7. 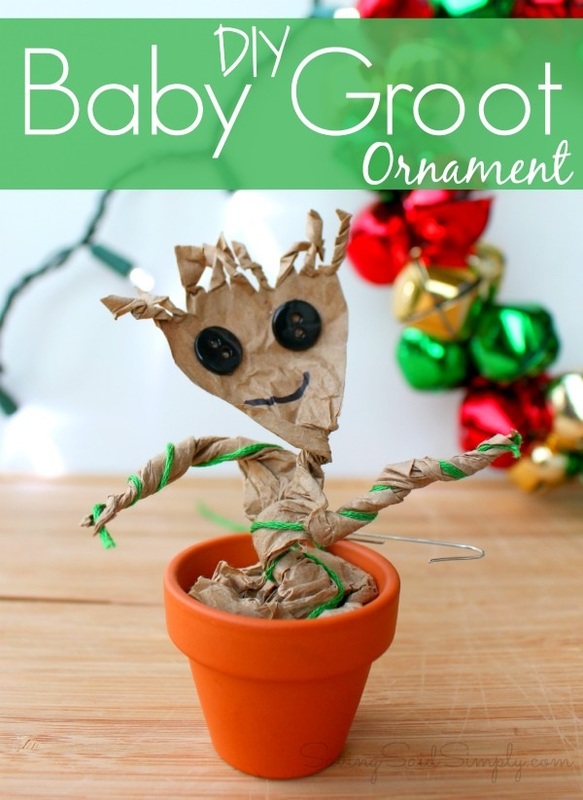 Now encircle your Baby Groot body into the bottom of the clay pot. Squish tightly in there so your Baby Groot is sitting upright in the pot. VOILA! 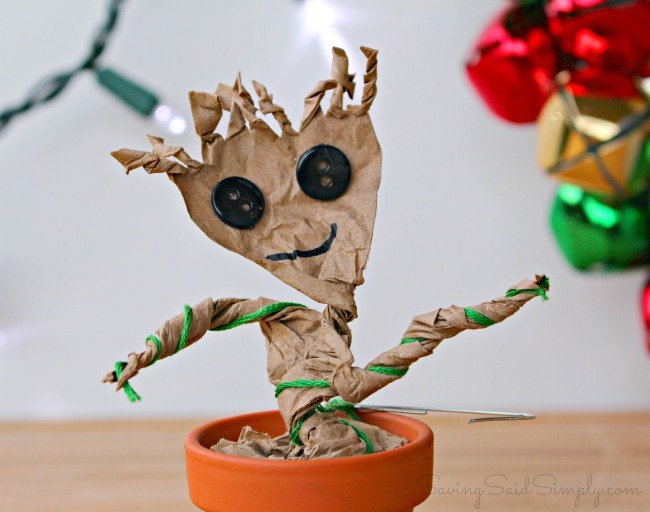 You have an adorable Baby Groot ready for dancing into the holiday season! The best part is that this craft literally cost me less than $2?! How awesome would this little guy be on your Christmas tree this year? Speaking of Baby Groot, I’m so excited to see those dancing moves in action again on DVD! The new Guardians of the Galaxy Blu-Ray/DVD/HD release has tons of extra features and goodies that we didn’t get to enjoy in the theaters! And let’s not forget the Dance-Off outtakes! 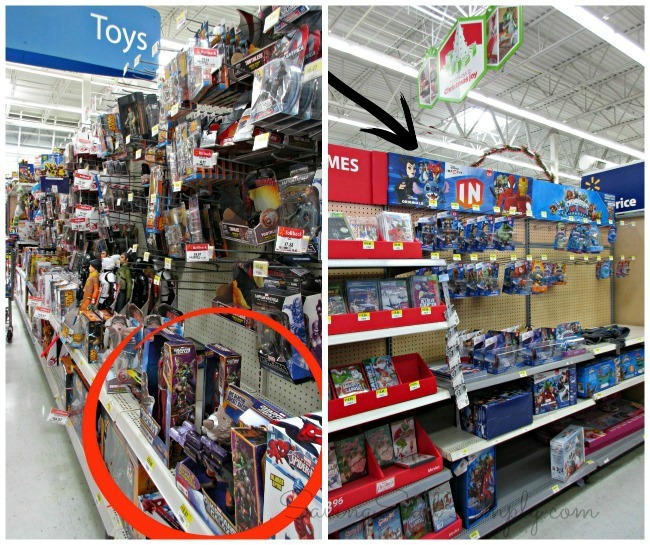 With the Guardians of the Galaxy Blu-Ray/DVD/HD release this 2014 holiday season, be on the lookout for some really amazing gift ideas and deals at Walmart. Starting this week, you should see a fun Guardians of the Galaxy in-store stackable display to help with your shopping! 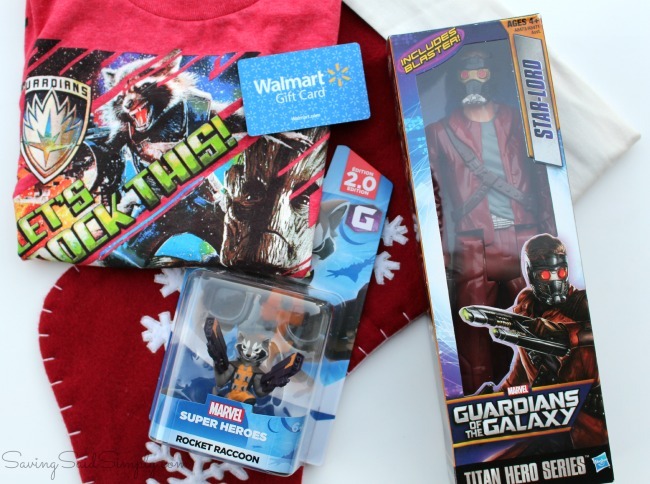 My son has been talking about this movie non-stop since I got back from my Guardians of the Galaxy Disney Press Trip, so I’m so excited to stuff his stocking with a Guardians theme this year! 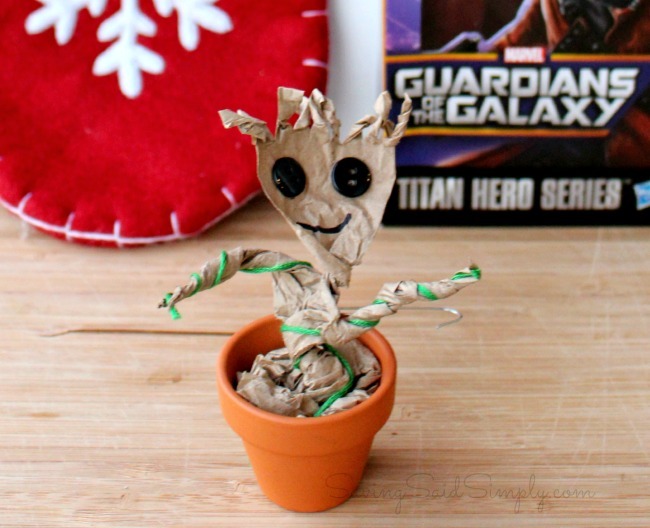 Celebrate the Christmas and Guardians of the Galaxy DVD season with your own DIY Baby Groot Ornament! And join the excitement with Guardians of the Galaxy on release starting tomorrow, 12/9, a perfect holiday gift! Who’s ready to host a GOTG movie party? Do you have a Guardians of the Galaxy fan on your holiday list? What would you get them this season? Be sure to follow Raising Whasians via Facebook, Twitter, Google, Instagram, Pinterest and YouTube for more reviews, giveaways and more. This is adorable!! Baby Groot, was my daughters favorite character from the movie. I would love to make this for her. That came out awesome. I still haven’t seen the movie yet – isn’t that crazy? Me and my daughter are going to try this as she’s homeschooled. My sons excited to watch this movie because he’s a wrestling lunatic and Dave Bautista is in this movie!! Wow I love this!! So clever! My husband and close friend loved Guardians of the Galaxy. This ornament is SUCH a cute idea! 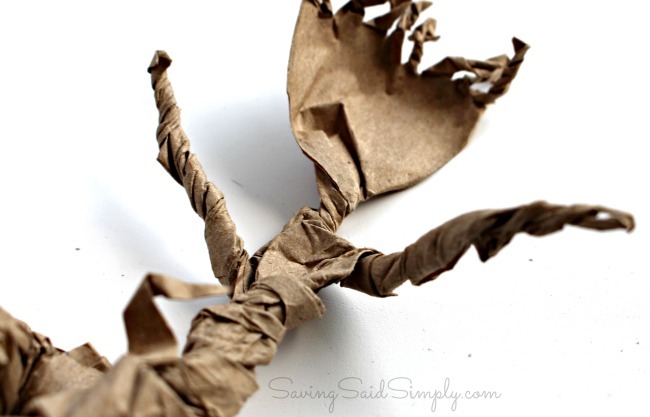 This looks fun and easy to make! I am sure the boys will love to make this for the Christmas tree! This ornament is adorable. You are super creative. I need to try to make this with my son who is a HUGE Guardians fan!! This is absolutely adorable. I like that you can create this so easily with the kids. Love it! This is just fantastic. I love the baby Groot. I am so going to make this. I haven’t seen this movie yet, so I am not really sure what that is, but I do know that it is super cute! It looks pretty easy to construct too! This is quite a unique and festive way to celebrate the new movie! It has me wanting to see it, for sure!! This is so cute. I want to try to make one. I love Groot. We’re all Guardians of the Galaxy fans, so I went ahead and got the family a community gift of the combo pack that just came out. That is the cutest little ornament. It seems really simple to make, too. That is really cute. Easy and festive activity. We haven’t seen the movie yet, I’m sure now that it’s on DVD we will. 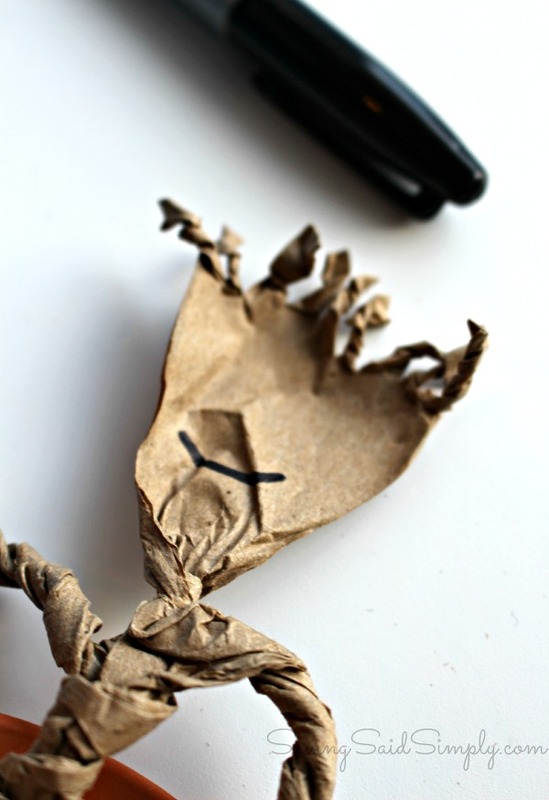 Super cute decoration/craft idea – whether you’ve seen the movie or not! The DVD is of course on the Christmas wish list! LOL Thanks for this totally adorable baby groot ornament craft as well! We’ll have to make some of these! That Baby Groot is super cute!! I would love to make one for my kiddos too! This is adorable! 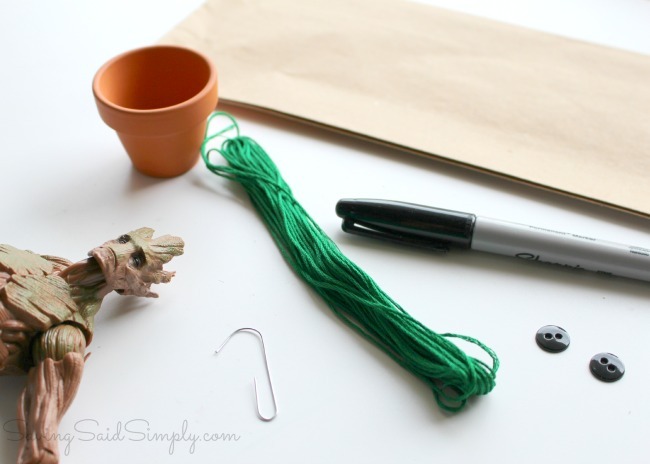 I love any kind of DIY craft! How adorable is this little guy? I think any fan of Guardians of the Galaxy would love to make these! This looks like an easy enough craft. Something to do with little ones on a rainy day along with watching guardians of the galaxy o course. Very very cute! My boys just loved Groot! Aw, we JUST watched this movie last night! It was really good. I love this craft. It’s just adorable. That is just the cutest and smartest little craft! I might have to do this with my son on winter break!! Very cool!